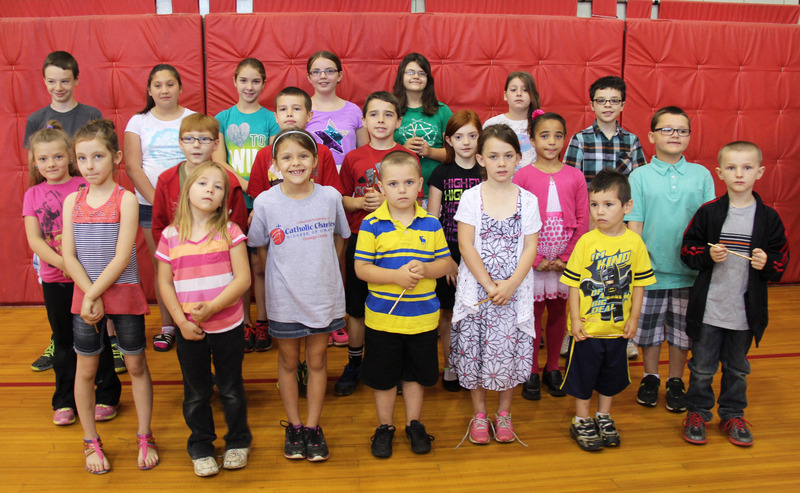 Pictured are students at Fairgrieve Elementary following a recent behavioral recognition ceremony. In back from left are Seth Bourlier, Adrianan Santizo, Samantha Perkins, Olivia Hawthorne, Sammantha McLoughlin, Bailey Reed and Patrick McInnis. 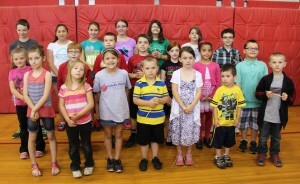 Middle: April Regan, David Maglione Jr., Dakota Cook, Ryan Carroll, Skyy Smith, Ciara Dillingham and Kaiden Jardin. Front: Emilee Dorgan, Abigail Renner, Ciara Price, Micah Collins, Abby Miner, Aden Bentley and Jai Seymour. Missing are Caleb Dickens and Vera Butchko. Fairgrieve Elementary School recognized students during a special morning express ceremony for modeling the district’s behavioral expectations for the month of May. The Fulton City School District’s Behavioral Expectations are: Be Respectful, Be Responsible, Be Safe and Be A Problem Solver. Students were chosen for the awards by their classroom teachers and were presented with pencils and certificates.